Little Acorns, housed in a separate annex on the Tree House campus, provides the perfect location for our Two’s progam. The class is designed to provide the 2 and 2 ½ year olds with a secure and caring environment to make their first steps away from home safe and comfortable. 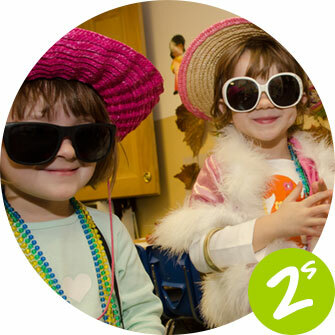 This program of play-based and social educational activities includes: circle time, music, story time, snack time, arts and crafts, free play, outdoor/indoor play – all done in a supportive and loving way. From the first time I visited, I knew that the Tree House was the place I wanted my children to attend preschool. I was looking for a preschool that would allow my children to socialize with other children, be with loving and caring teachers and learn through play. The Tree House has met all these hopes and more. Our 3-year-old program is designed to provide children with a nurturing, caring environment where they feel safe to continue to learn and grow as individuals. By examining the child’s own world, including nature, the seasons, the community, the family and so forth, children become aware of themselves and others around them. The program of educational play experiences includes: circle time, music, story time, snack time, arts and crafts, centers, and indoor/outdoor play. 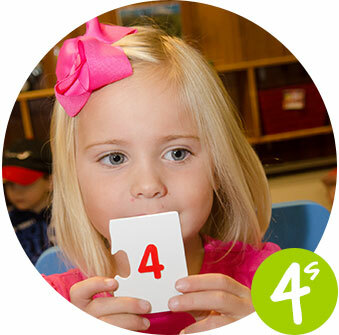 Our 4-year-old program is designed to enhance self-esteem, listening skills, ability to follow directions, and the child’s importance to the group. This program of play-based educational activities promotes each child to grow socially – encouraging consideration for others, self-sufficiency, and self-discipline in a happy and productive setting. Children will continue to be involved in circle time, centers, music, arts and crafts, snack time, story time, indoor/outdoor play – all in a nurturing and caring environment. The goal of this program is to properly prepare a child for the kindergarten experience. The entire Staff is there for ALL the children. They are a TEAM and a FAMILY. Everyone shares in everyone's triumphs and tribulations, and the support is not just limited to each classroom. Every child becomes part of the Tree House family. It is a truly beautiful, happy place for a young child to start their journey outside of the home. Do you have to attend an early morning meeting; work an irregular schedule or just need a little more help? Extended hours are here to help you. Please contact the office for more information and to schedule additional hours.